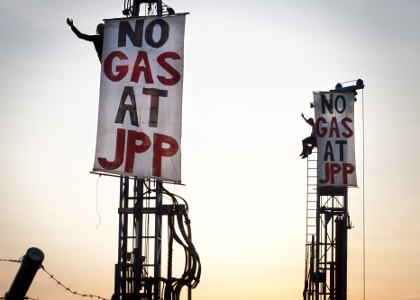 Protesters scaled the rigs at James Price Point in September in a bid to slow down works. I'm surprised that Martin Pritchard has not suggested placarding Mr Marmions home or office. Or is that the last ditch effort?